Composer and musician Emil Gagliardi created the Detaching the World CD series to provide the massage therapy community with the ideal musical environment for massage. Detaching the World Vol. 1, offers a tranquil and impressionistic blend of electric and acoustic guitar that mesmerizes the listener without seeming intrusive or sleep-inducing. 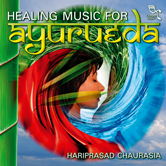 Designed as massage music to enhance a feeling of peace and calmness. Highly recommended for massage and spa, meditation, reiki, hypnotherapy, yoga, relaxation and pure enjoyment. Note: Rain sounds mixed into the end of track three and the beginning of track four unobtrusively evoke a connection to the random harmony of nature.